This week, one person deserves unequivocal thanks from all of us, no matter whether our politics align left, right or center: Special Counsel Robert Mueller. For nearly two years, as he doggedly investigated Russian interference in the 2016 presidential election, he endured a nearly constant salvo of character assassinations from the president and his unholy trinity of Congressional sycophants, Fox News propagandists and far-right Internet lackeys. The idea that a team of public servants could discharge a mission with honor and duty was beyond Trump’s comprehension, but Mueller drilled straight down to the bedrock of facts without slant or agenda. It was indisputably an exhausting and thankless task. The weekend’s absence of a smoking gun was certainly demoralizing for those of us who despise this wretched presidency; however, Trump’s emboldened yes-men who have claimed Mueller’s results as a “win” for the right need to step back. First of all, he still faces investigations in the Southern District of New York for campaign finance violations. More significantly, over the course of the Mueller investigation, six individuals who were closest to the president were criminally charged: his former campaign chairman, former deputy campaign chairman, former personal lawyer and “fixer,” former national security adviser, former campaign foreign policy adviser and Roger Stone, a friend and strategist. That, in itself, is nothing short of extraordinary and certainly not deserving of a victory lap by Trump. Until the full report is released to all of us, if it ever is, it will be impossible for either Congress or the public to differentiate between spin and substance in the aforementioned high-level summary by Barr. 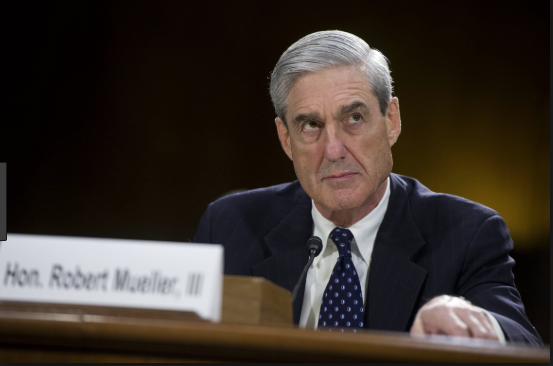 What we now know about the scope of Mueller’s conclusions is obfuscated through the lens of Barr’s letter, which should not be taken at face value, given the fact that the attorney general, a Trump appointee, wrote a memo last year calling Mueller’s investigation into obstruction of justice “irresponsible” and “fatally misconceived.” After noting that Mueller’s report does not offer any legal recommendations regarding obstruction of justice, Barr declared that it is “[left] to the Attorney General to decide whether the conduct described in the report constitutes a crime.” Together with his deputy, Rod Rosenstein, he then concluded that the president did not obstruct justice when he fired FBI Director James Comey. There are two paramount components of a special counsel investigation: the story must be told in a manner that is both true and full, and if faith in our most sacred institutions is to survive, the public must have confidence that justice was done. It is impossible for us to reach that determination if all the evidence we see is in a slanted letter from Trump’s attorney general. What evidence did Mueller find on obstruction of justice that made him unable to reach a legally sound conclusion? If Mueller was not able to make a decision after 22 months of investigation, how could Barr do so only 48 hours after the report was submitted? Why was Barr so quick to dismiss the fact that the president himself said he had fired FBI Director James Comey because of the Russia investigation? Barr’s letter is too easily interpreted as clearing the president and his operatives of all general corruption and malfeasance not quite meeting the legal standard of collusion. This is not the case. The letter does not say whether Mueller found a “preponderance of evidence” of crimes (the criminal standard, “beyond a reasonable doubt,” is much higher). Neither does it say why there were more than 100 contacts between the Trump associates and Russian operatives and why so many people denied those contacts. But thanks to the president’s partisan hacks in Congress, the report may remain buried alongside Trump’s tax returns. Sen. Majority Leader Mitch McConnell (R-KY) blocked a non-binding resolution put forth by Sen. Minority Leader Chuck Schumer (D-NY) to release it publicly (one and the same as the resolution passed resoundingly and bipartisanly by the House of Representatives). Notwithstanding Mueller’s honor and patriotism, the special counsel will not save us from the problems that allowed the Trump presidency to come to pass in the first place. Trump is a cancer to our beloved country, and no special counsel report could save us from the party sycophants that embraced him, the dark money that financed him or the far-right radicalization he awakened. That’s on us.